This is the third bathroom I've had Lampert renovate for me over the past 15 years. Each time the service and quality has been excellent which is why I keep going back. Lawrence made planning the renovation and choosing finishes simple, easy and quick. Ihor and Andre did an excellent job executing the reno. Very professional and pleasant to work with. I will continue to use them in the future. At the end NOT collaborating with us(clients) not helping us. Outstanding job - professional, friendly, knowledgeable! Thank you Zaheer for taking the time to write such a great review. We take pride in completing a renovation project on time and in a professional matter. We're so glad to hear that you are happy with your new bathroom. Thank you! 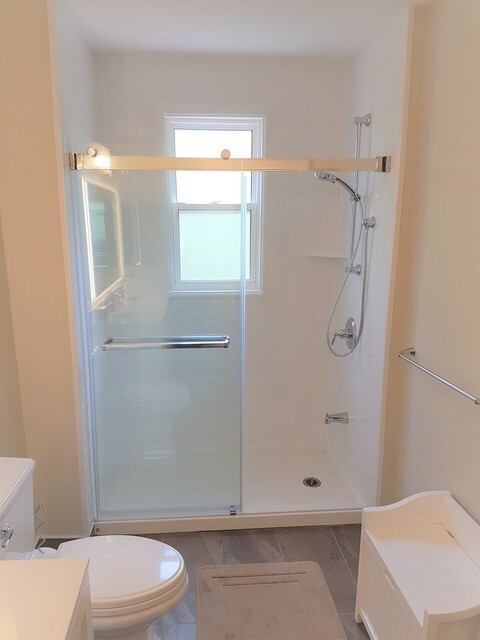 I would like to that Alex, Lawrence, Ihor, and the rest of the Lampert team for having made this renovation an extremely enjoyable experience. Their knowledge and professionalism quickly put me at ease and I had total trust that the project would be done on time and the quality of the work is second to none. I would use Lampert hands down for any future renovations. Thank you Tony for taking the time to write such a great review. 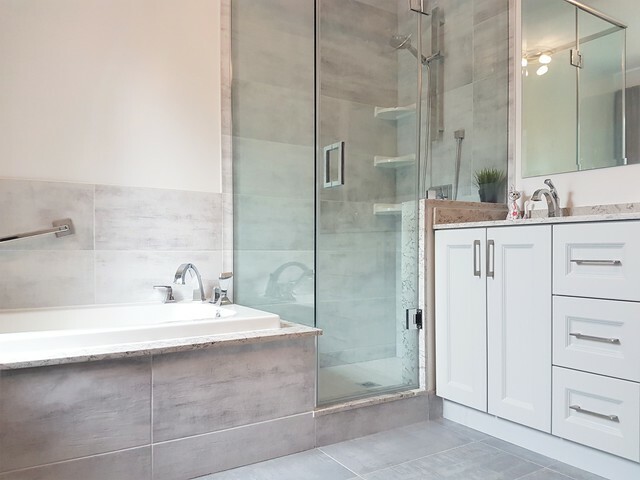 We pride ourselves on making the process as easy as possible and we're so glad to hear that you're happy with your new bathroom. Thanks very much to Lawrence and Ihor our ensuite bathroom has been transformed from a bit of a nightmare into a lovely bathroom. Now I only wish we had gone with Lampert Renovations to have our kitchen renovated as well. At the time of renovating our kitchen we weren't aware of Lampert's and so dealt with another company and the experience turned out to be very unpleasant. The polar opposite is what occurred with Lampert's. The job was completed in just over a week. The craftsmanship is excellent and all the work done, new vanity, new shower, toilet, fixtures etc., is of high quality. 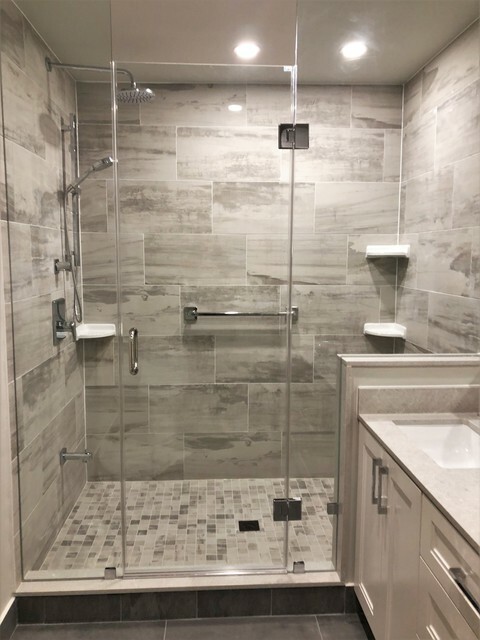 It was a pleasure to deal with Lampert's and we will definitely be having them do a second bathroom next year! Thank you very much for taking the time to write a review. We are very glad to hear that Ihor did such a great job on your bathroom! 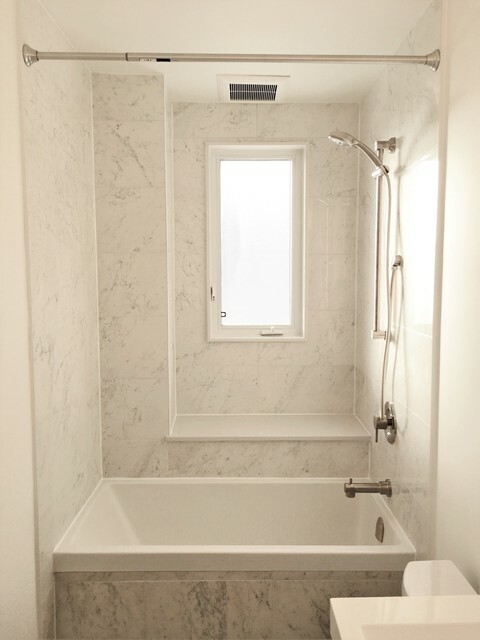 We can't wait to get started on your second bathroom renovation. 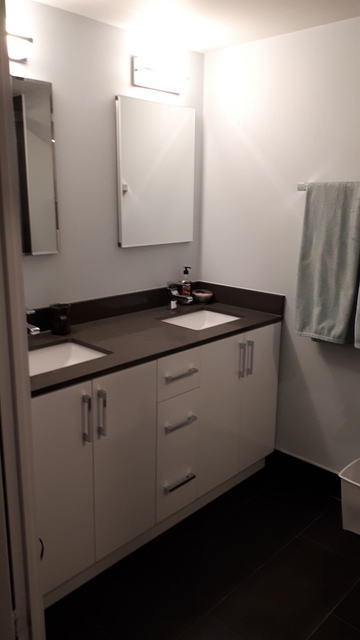 Two complete condo bathroom renovations in three weeks! I can’t begin to express just how low stress my renovation experience with Lamperts has been. My designer Lauren calmly and patiently helped me find my way through the myriad of choices. Everything was planned ahead in detail. Any changes I made were addressed immediately. Communication through email and phone was fast and efficient. When one tile choice was not available, Lauren immediately found several alternatives. I think the final selection was better than the original. Lamperts very clearly understands how to work in condos. They provided all the paperwork for approval promptly. Management was always informed of the “noise” schedule, all trash was cleared away and the elevators and hallways were cleaned of dust and dirt. In the condo, Ihor and Junior were fun, friendly and highly professional. All my floors were protected with mats. Everything in the unit was tidied up and cleaned (as best as could be expected) at the end of the day. And the workmanship? Simply done right from start to finish. The original plumbing was loose and the electrical fixtures had no junction boxes. Lamperts made sure the behind-the-scenes job was done properly. Tiles were meticulously laid. 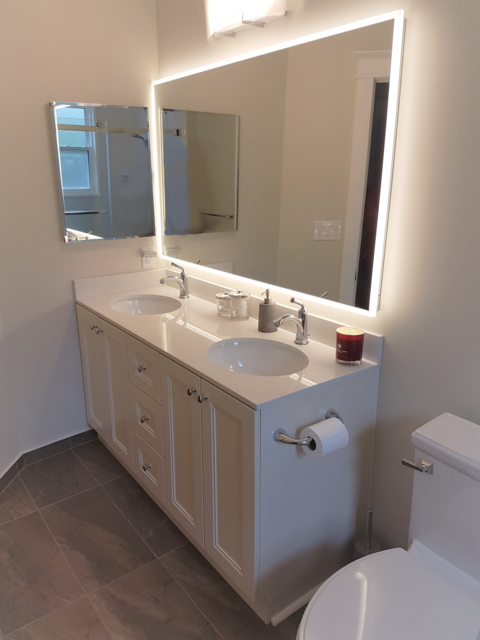 Vanity, lights and fixtures were installed exactly as requested. The care and attention to detail is very evident. I love my beautiful bathrooms! Thanks to Lamperts and the whole team for a wonderful experience. The results are stunning! Hello Anastasia, thank you very much for the positive review. We take a lot of pride in the work that we do and it makes us very happy to hear that Ihor and Junior were so professional. The team here at Lampert Renovations is thrilled to hear such great feedback. Thank you again for taking the time to write a review. An old friend told me that you should only expect a contractor to deliver on only two of three things: quality, timeliness and cost. Never expect all three on any home improvement project. Lampert came pretty close to delivering on all three when we had them renovate our bathrooms (main, master and powder). We used Homestar to evaluate potential contractors for the job and narrowed it down to four companies. After contacting them and getting quotes, we decided to go with Lampert. Being a showroom and able to actually see and feel the products/material we would use in the renovation made a huge difference for us. Lauren, who was the one helping us design and make choices on products and material, was absolutely wonderful. Igor, who lead the reno team and did the actual work, was the best in what he does. The craftsmanship was amazing. We couldn't be happier with the outcome. Thank you both, Lauren and Igor for a great job. Thank you for the great review Sam. We're so glad to hear that our showroom helped your decision in choosing us. 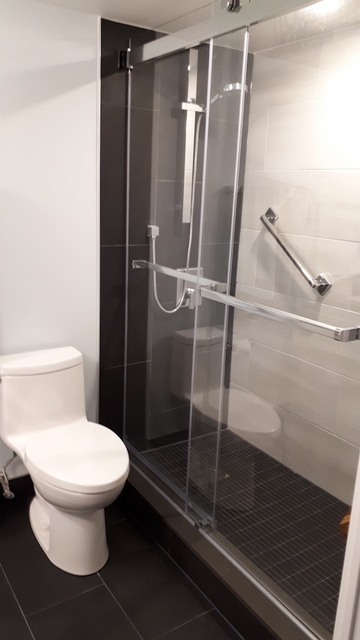 We take a lot of pride in our showroom and having it be a place where people can come and feel comfortable with the products that they are eventually going to have in their bathroom. It's also great to hear that Igor and Lauren did such a great job. Thank you again for taking the time to write such a positive review. 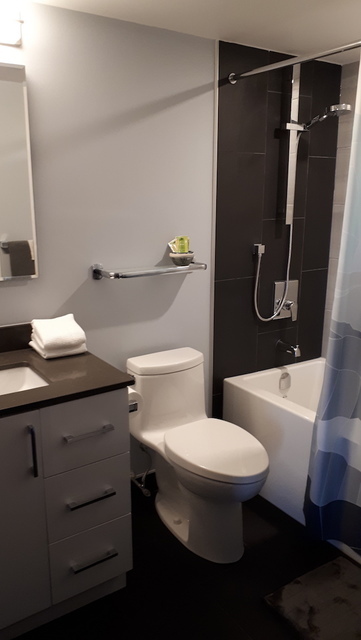 When I finally decided to transform my ugly circa 1972 bathroom into a 21st century retreat, I called Lampert Renovations. I am so glad I did. From our initial consultations the process was a pleasure. One stop shopping at their office made it easier to choose and coordinate all the pieces necessary to change and update my bathroom. Their designer was a great help to bounce ideas off. From flooring, plumbing, fixtures and cabinets, to paint colour I could envision the final look. Their renovators were a pleasure to have working in my home. Their attention to detail and commitment to completing my bathroom within the time promised made the experience stress free. I love our bathroom! Walking into this beautiful light filled bathroom makes me wonder why we waited so long. I have happily been recommending Lampert Renovations to my friends. Thank you! Our bathrooms needed total overhauls but we were was very nervous having heard numerous reno horror stories. Asked friends for contractor recommendations and they all said "don't use the one I hired." I checked out all the big hardware chain stores but didn't really like their products or service. I stumbled upon Lamperts using Google and liked the before & after photos on the website. Thought I would take a chance on Lamperts especially since it is a family owned & has been in business for 80 years. Also it has an A+ rating with the Better Business Bureau. I can now confirm it was the best decision my husband & I could have made! We made an appointment to visit the Lampert showroom and were met personally by Lawrence the owner who walked us through all the steps. We told him what we wanted and using his extensive design experience he helped us choose what would look good. We were able to find everything we wanted for our bathrooms during that one appointment. What I really liked is the job is not started until all the material is ordered and available. No starting the reno then having to wait until this & that arrived. The workmen were all very professional & courteous and hey constantly involved us in the process, asking where we wanted certain things hung etc. (Kudos to Andres & Igor, the two hard workers.) Lawrence committed to 2 weeks for completion and a certain budget and he came through on those promises. You will not be disappointed if you choose Lamperts! Thank you Laurie for taking to the time to write such a great review. We take a lot of pride in our work and it's great to hear that Andre and Igor did a great job. Everything about the job was totally professional. Work was completed on time & on budget. The crew were a pleasure to deal with. I couldn't be happier with the end result. Thank you for the great review David. We're glad to hear that you are pleased with your renovations. We take a lot of pride making sure the work is always done on time and on budget. Thank you for taking the time to write this review. The Lampert family has been in the bathroom for three generations and over 80 years. 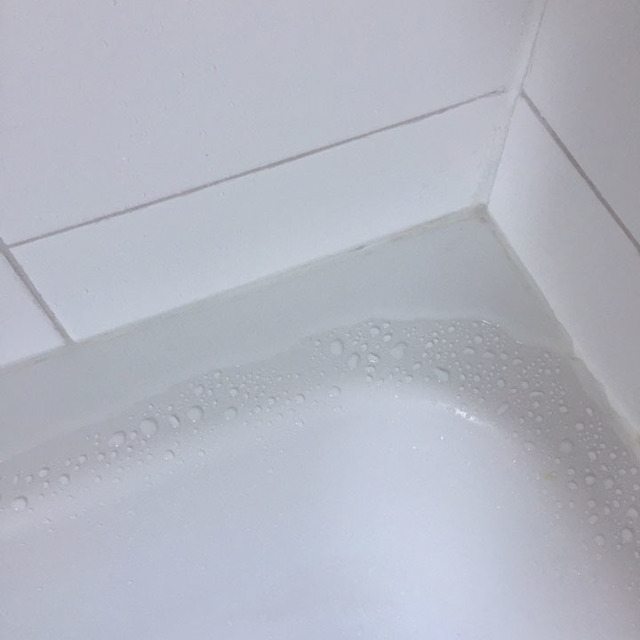 We offer solutions to every possible bathroom problem - whether that is mold, mildew, rusty fixtures, cracked or missing tiles or just an outdated bathroom. The Lampert Group of Companies can solve any issue. 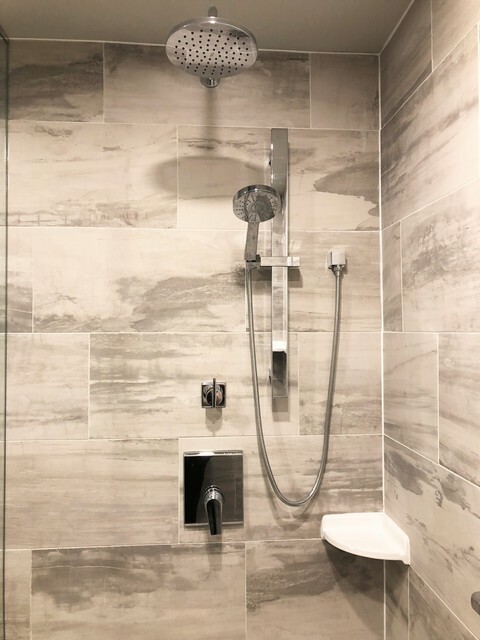 From complete bathroom and kitchen renovations to plumbing service to tub and wall liner systems – Lampert can do it all! 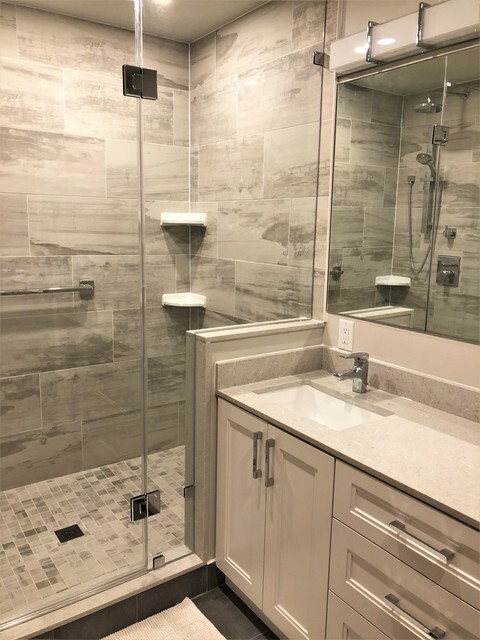 Full Bathroom, Kitchen and Basement Renovations, Acrylic Tub Liners and Wall Systems, Tub to Shower conversions, Residential and Commercial Plumbing Service, and Lampert can also change your old faucets, shower doors, toilets, vanities and tops.